Reclaim valuable space by reducing the volume of glass bottles sent to a bin. 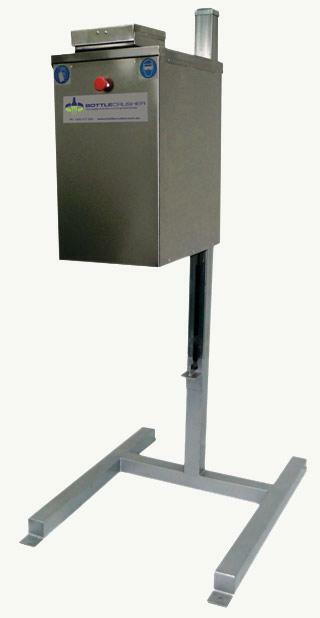 The SpaceSaver can be mounted directly over a waste bin, is quiet and ideal for designated waste areas. The SpaceSaver BottleCrusher is the mid-range version of BottleCrusher machines. Glass waste is collected directly in the waste bin below. It can be positioned up to 1.5m from the ground using the light and easy to use hoist. For venues where noise pollution is an issue, the SpaceSaver will eliminate the need to tip waste glass bottles into bins which can upset nearby residents or other venue operators in the area. The SpaceSaver BottleCrusher is an ideal machine for pubs, nightclubs, bars, and hotels. It allows venue operators owners to reclaim valuable space in designated waste areas and significantly reduce the area dedicated to storing glass waste.